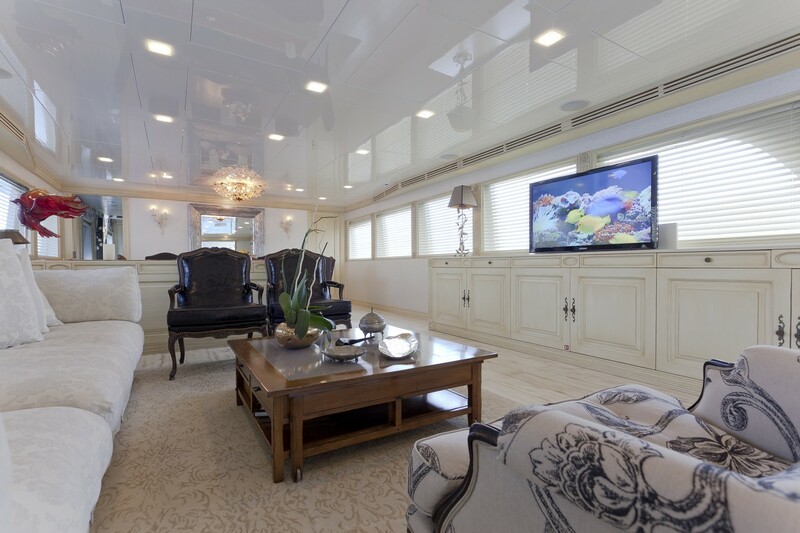 Motor yacht GRACE KELLY is a 32.60m (106' 11") 2007 charter yacht built by Mengi-Yay with naval architecture by Kerim Demir and interior design by Studio Aegean. 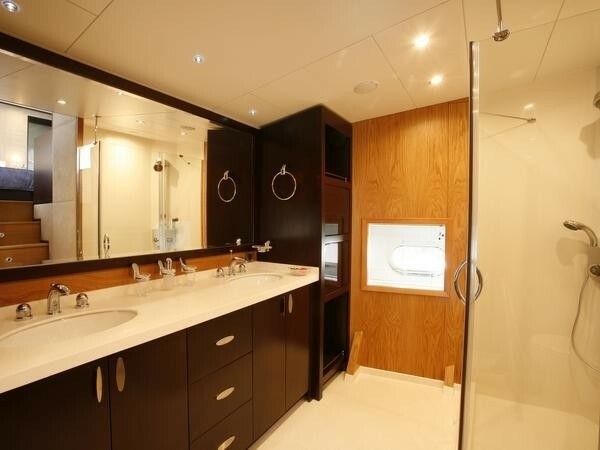 GRACE KELLY is available for charters in the eastern Mediterranean, Greece, Turkey and Croatia and she accommodates up to 10 guests overnight in 3 Double, 2 Twin cabins. 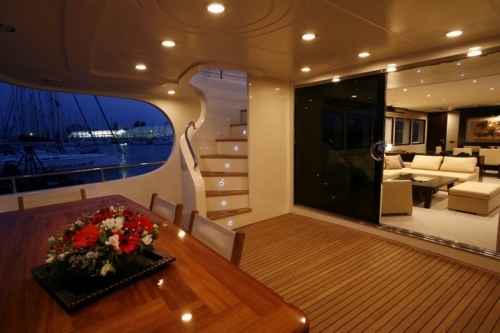 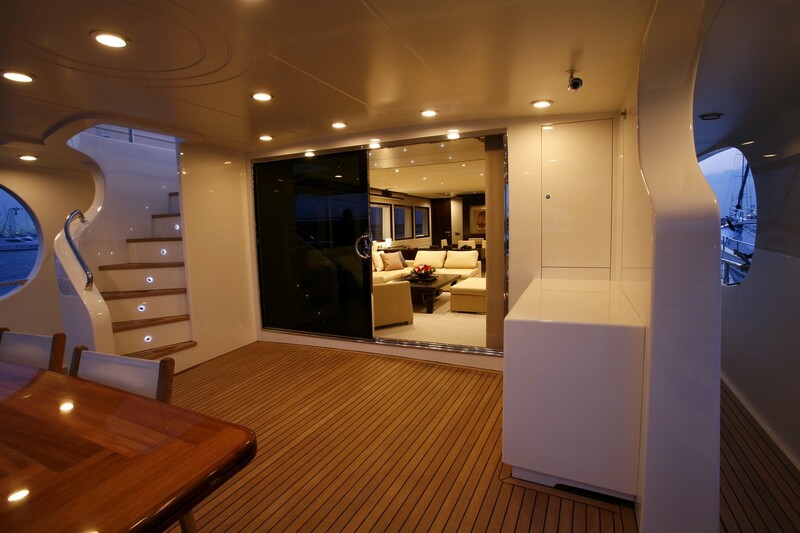 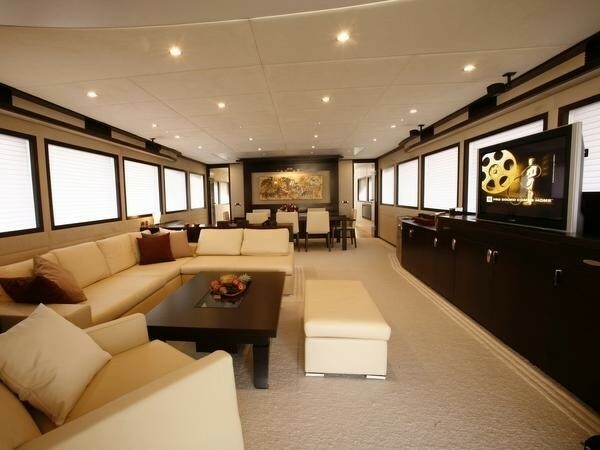 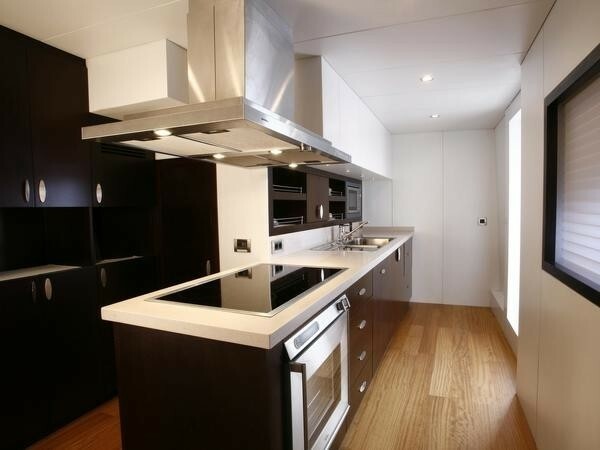 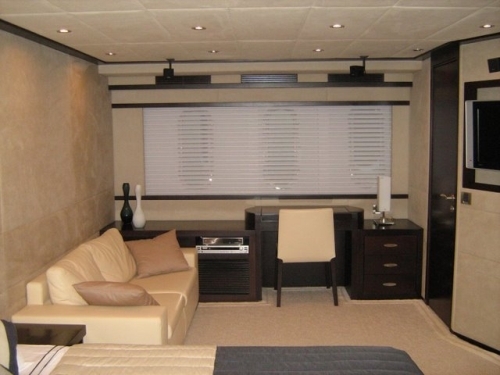 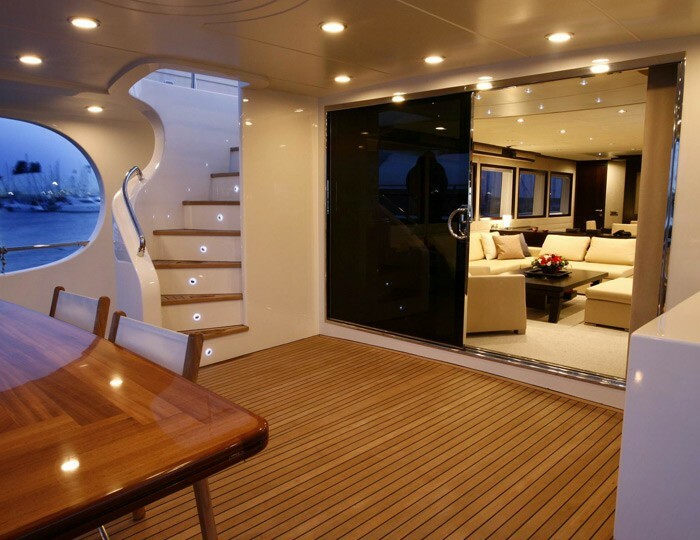 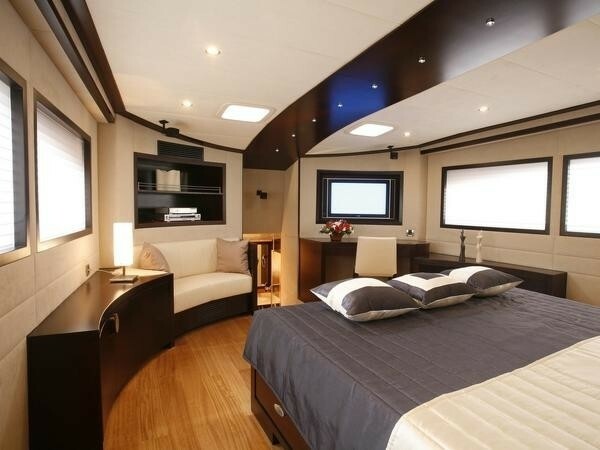 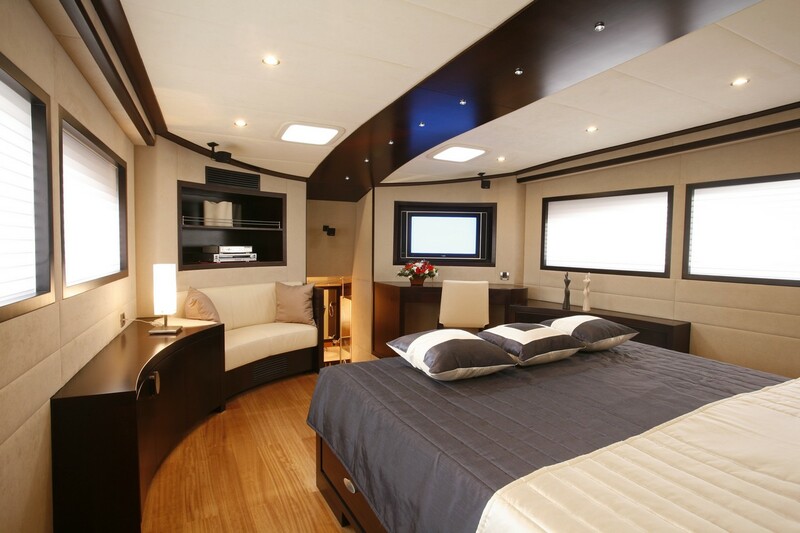 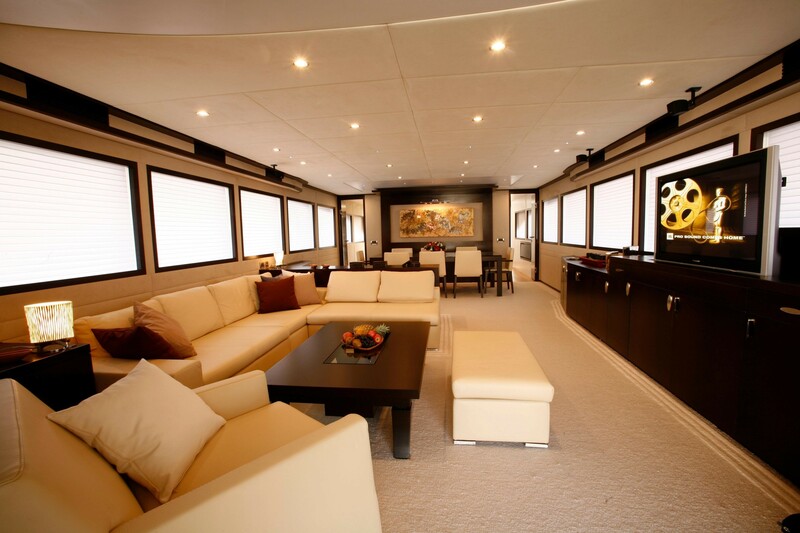 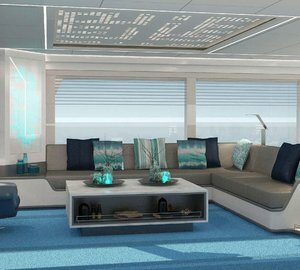 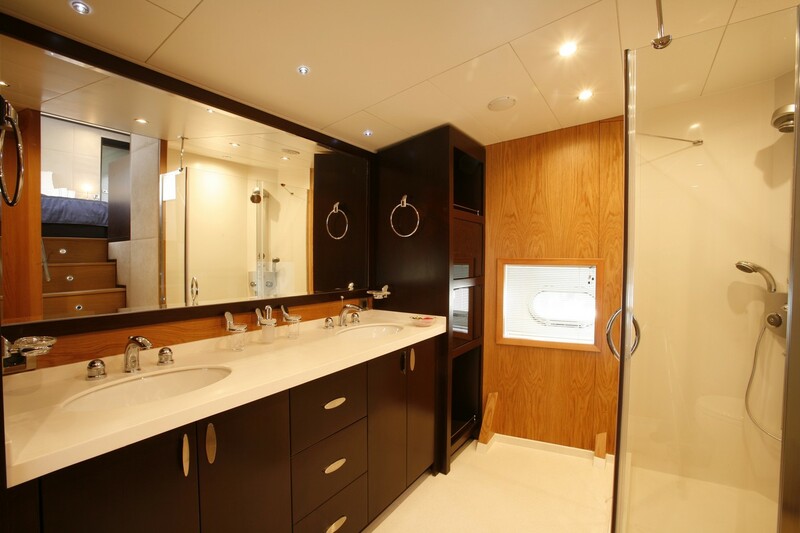 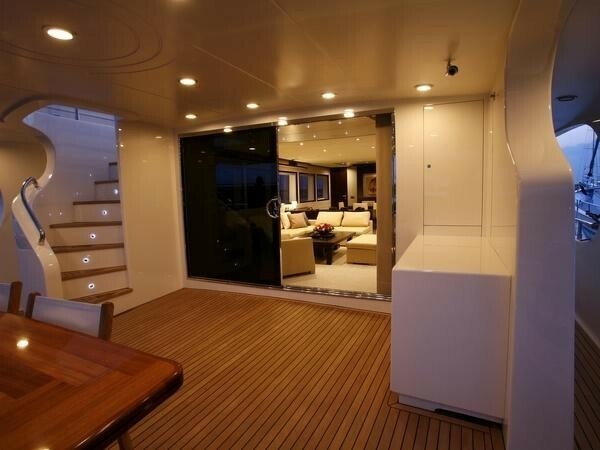 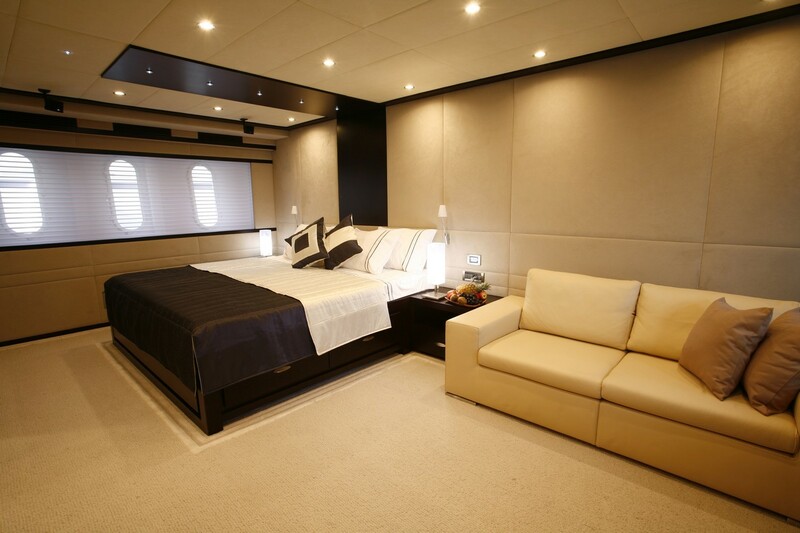 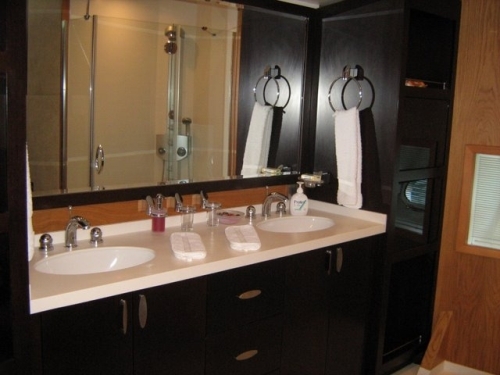 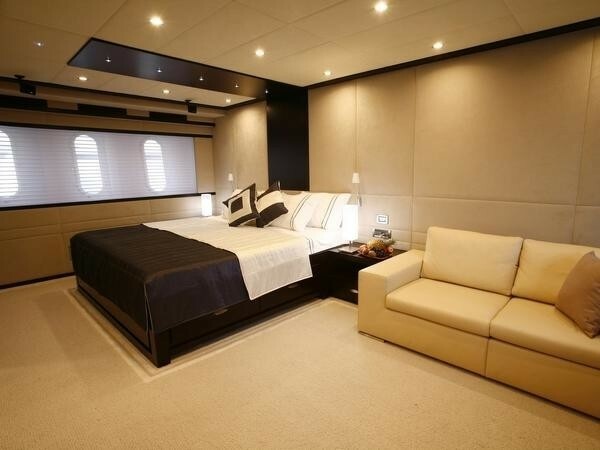 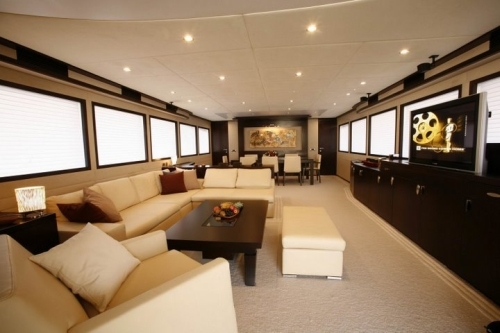 Motor yacht GRACE KELLY's exterior lines are modern and flowing while her interior displays a simple cool modern theme with touches of natural wood timbers. 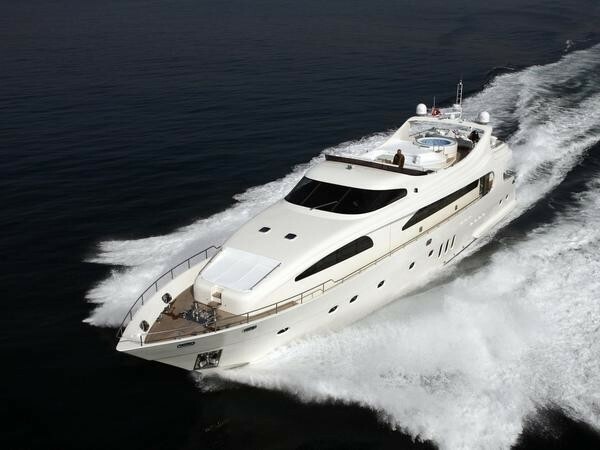 With 2 X 1800HP MTU diesel engines M/Y GRACE KELLY is able to cruise between destinations in Greece or turkey at 22 knots and more. 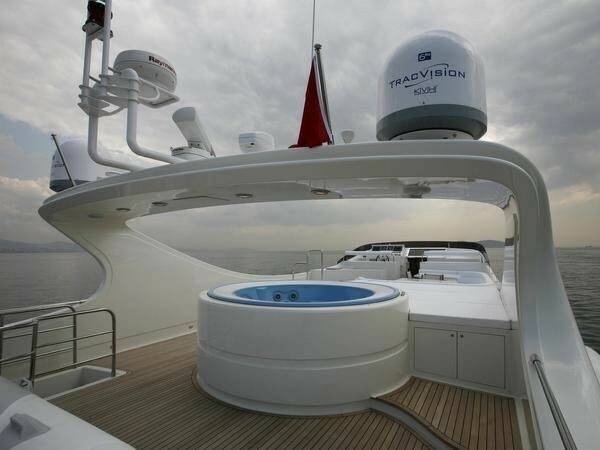 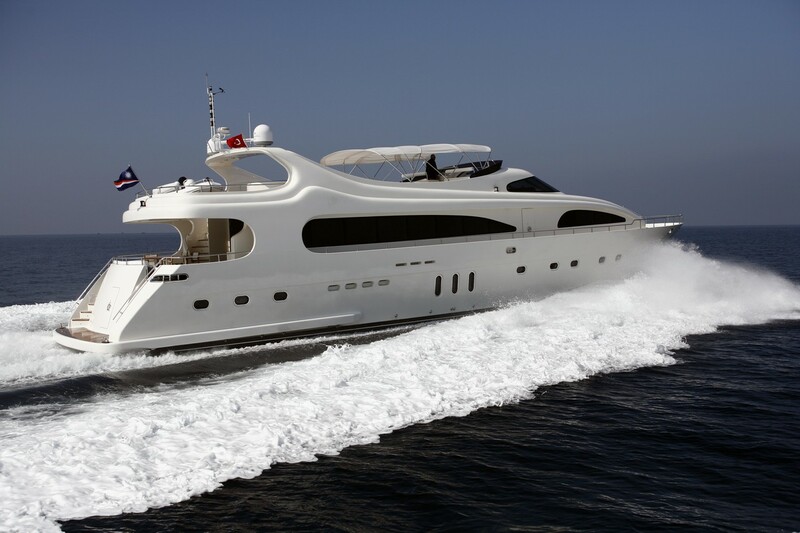 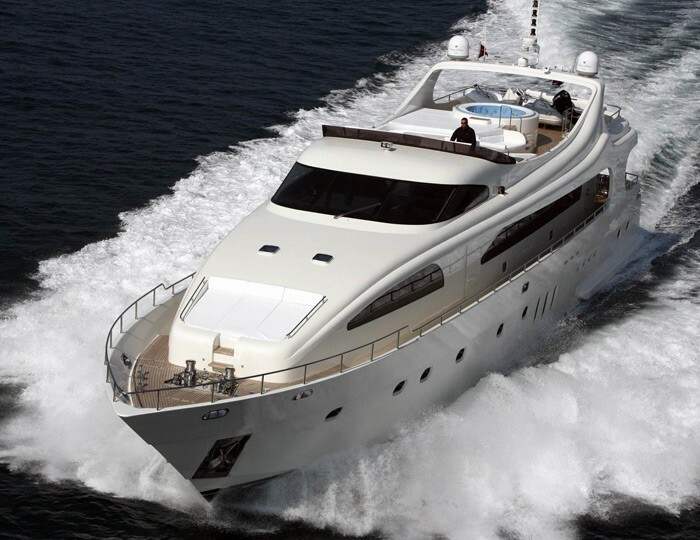 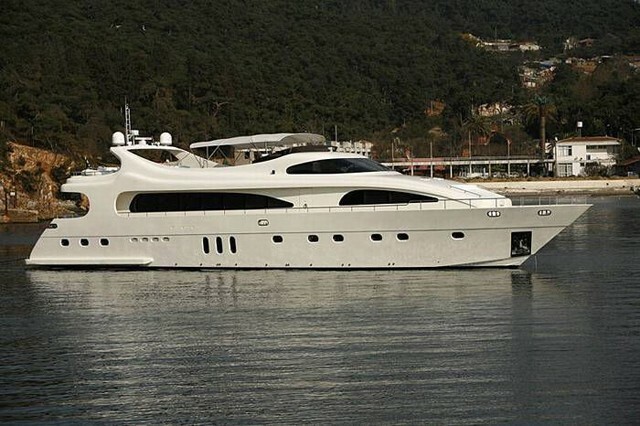 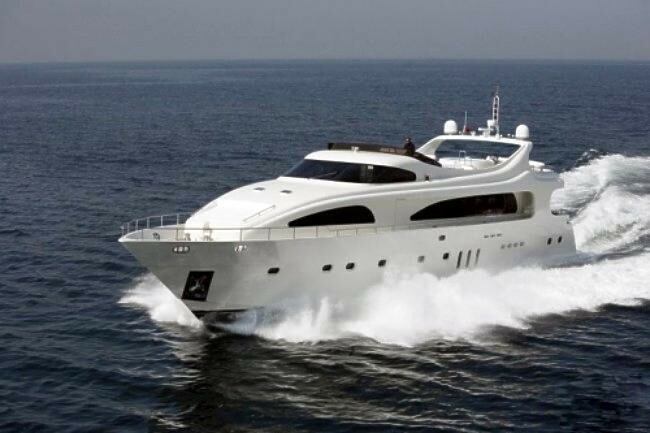 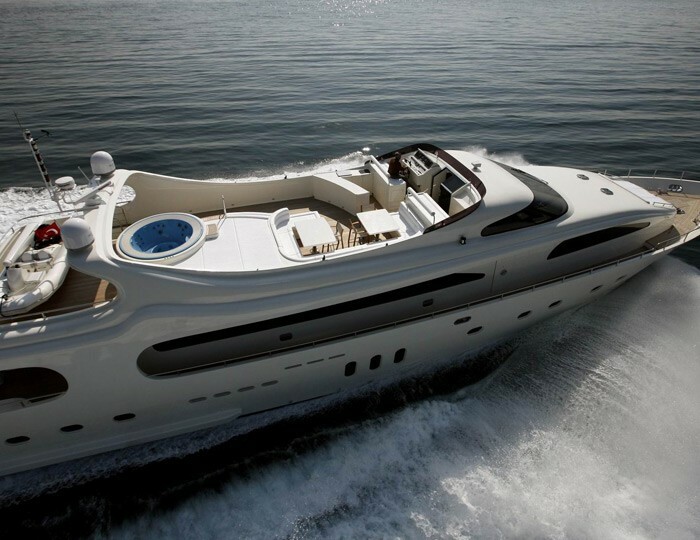 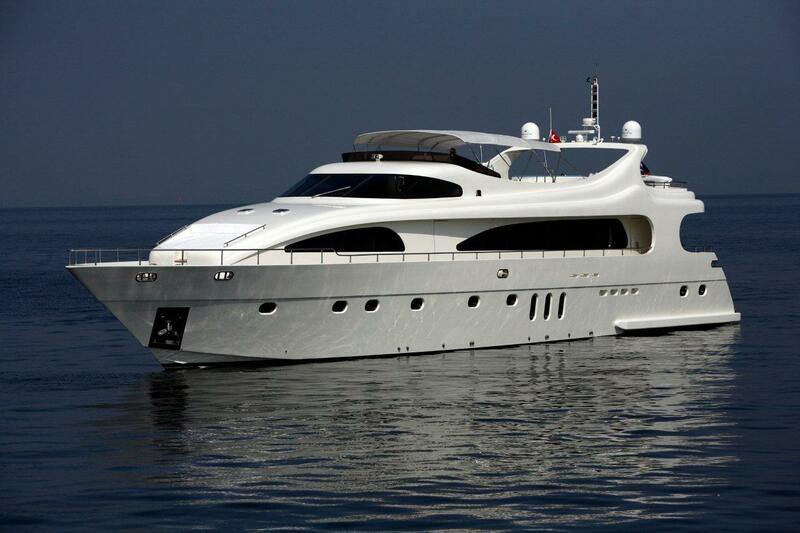 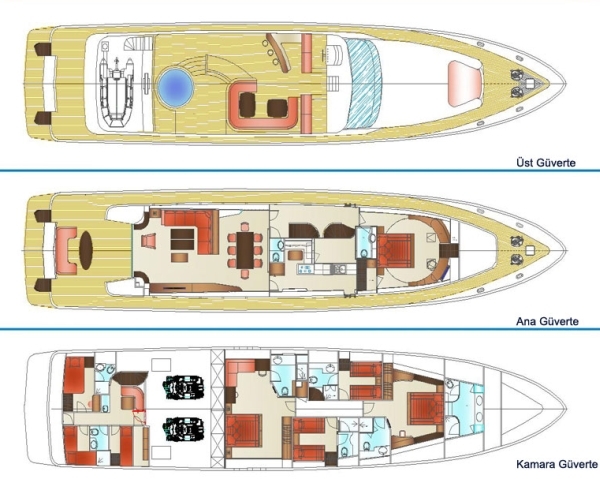 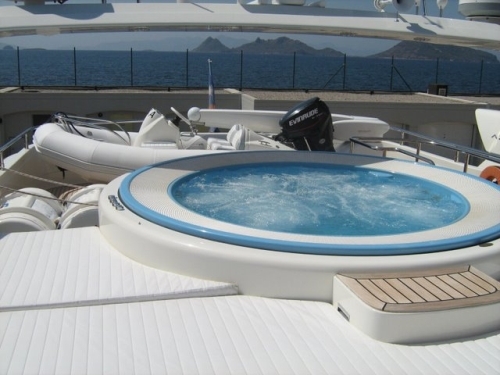 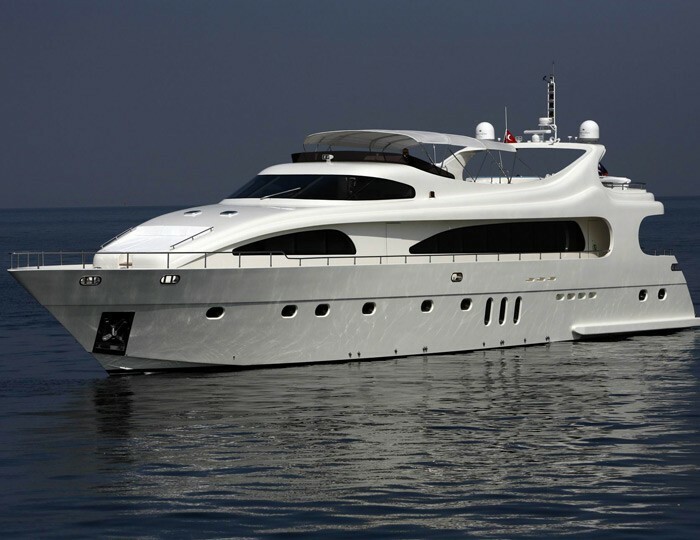 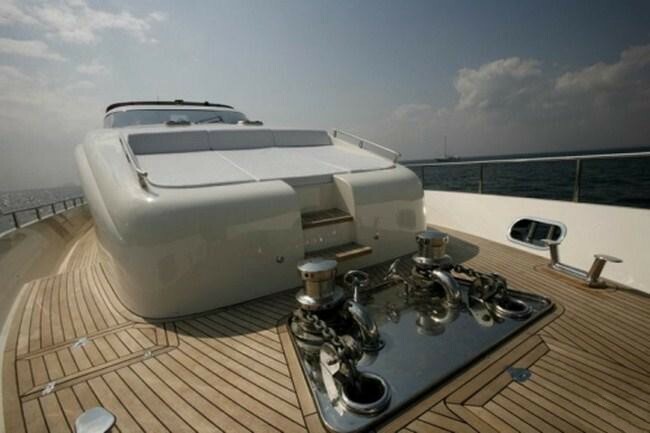 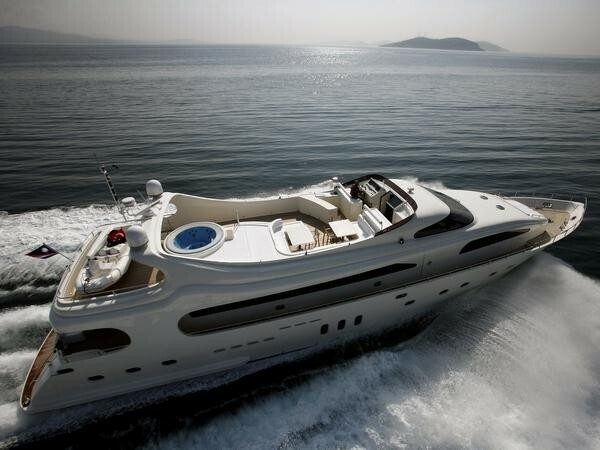 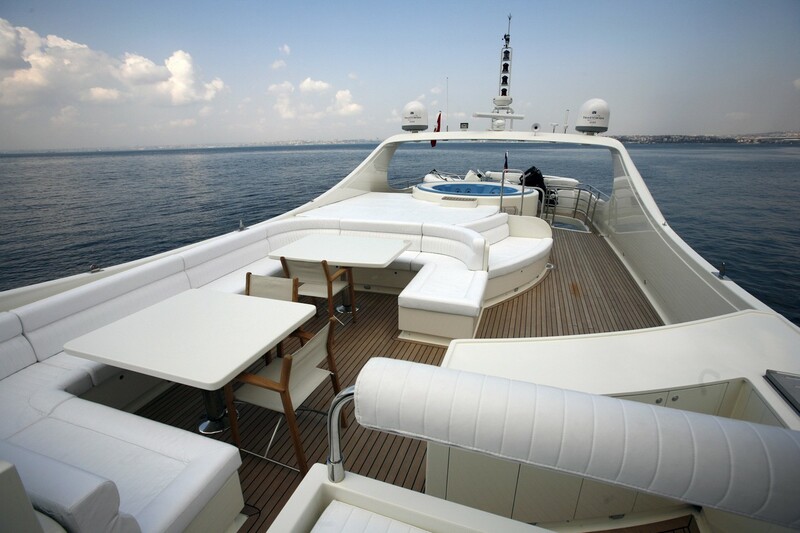 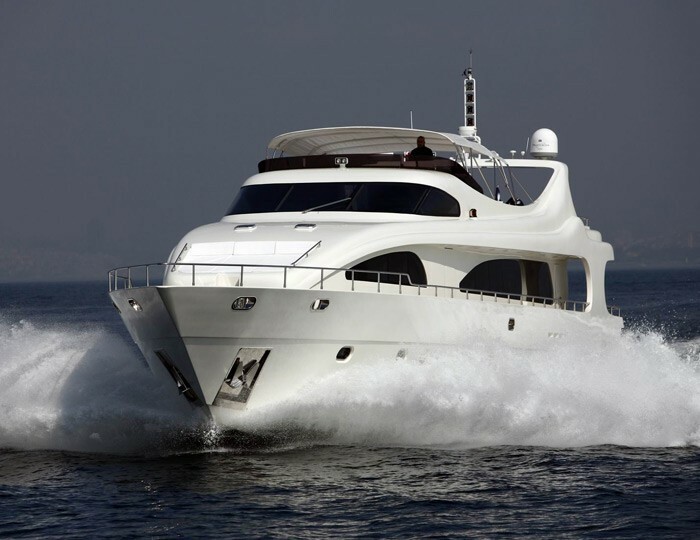 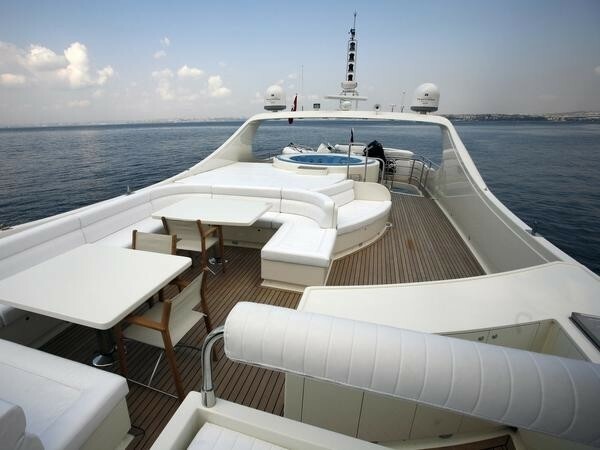 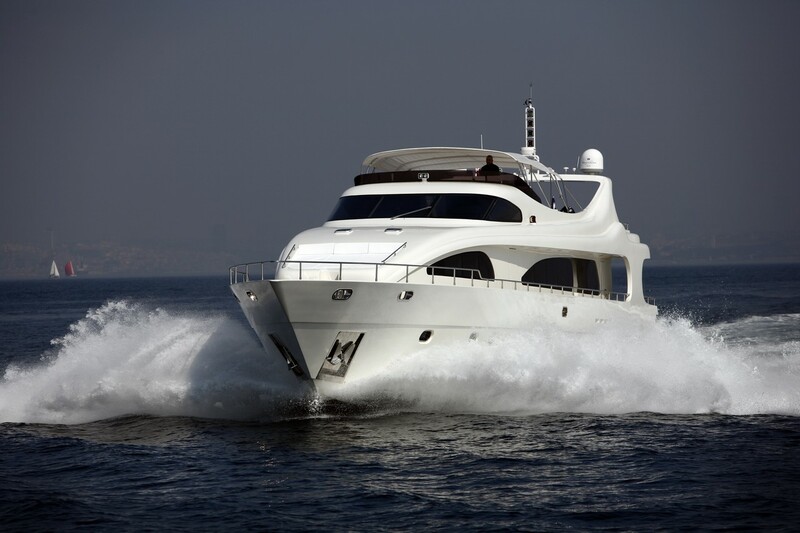 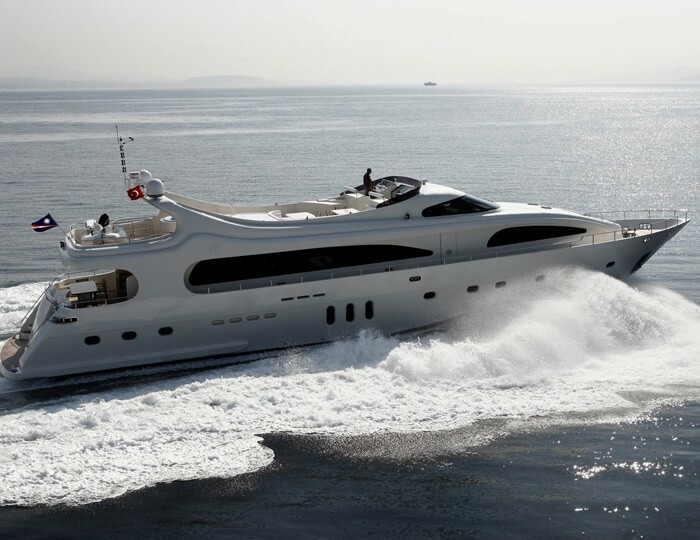 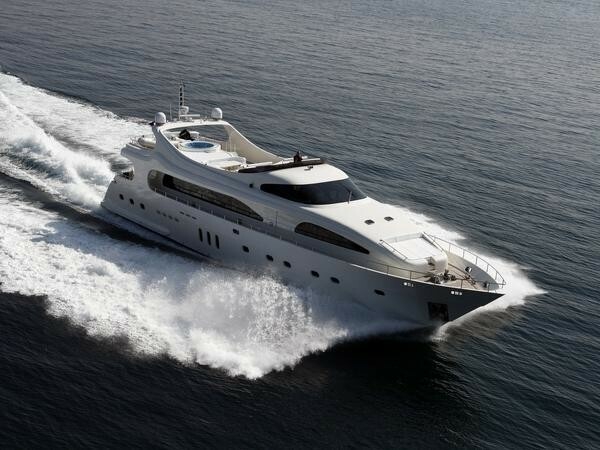 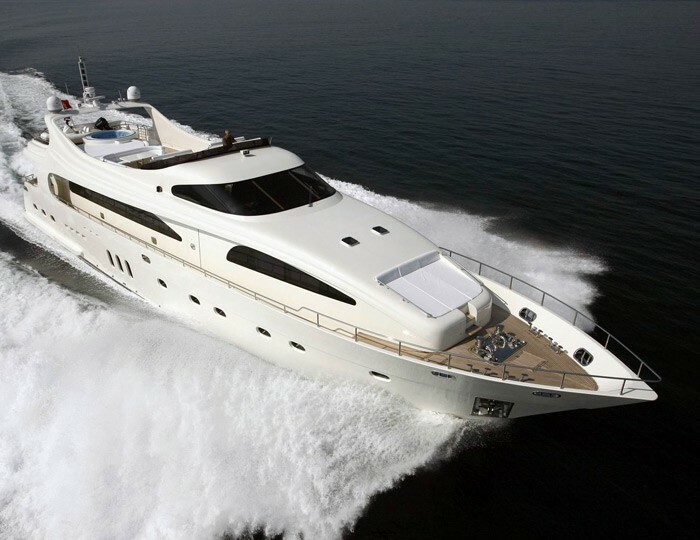 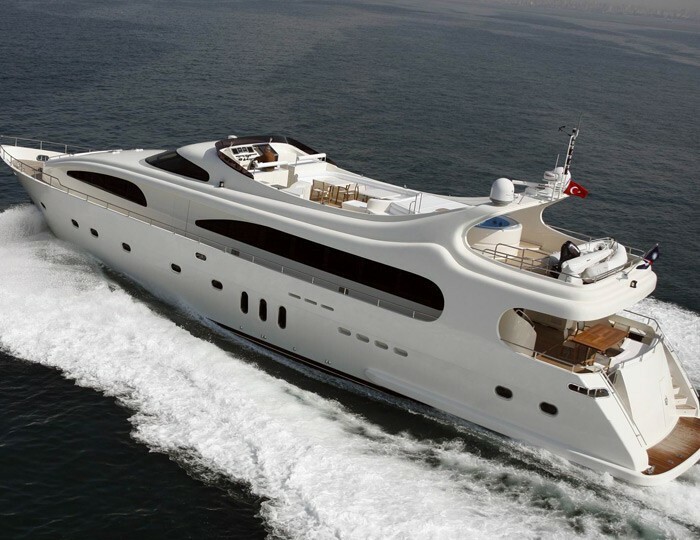 This motor yacht offers a large flybridge deck and an outdoor Spa Pool pool as well as water sport ‘toys’. 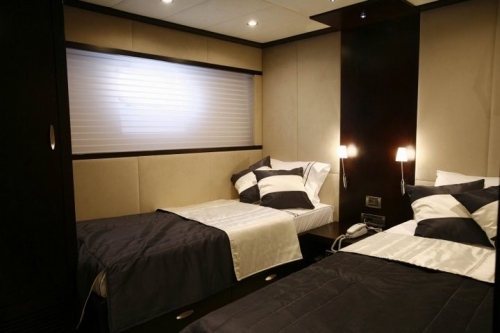 GRACE KELLY offers: 1 X large front main deck Master cabin, king size bed, study, sofa 1 X large aft Master cabin, king size bed, study, sofa 1 X VIP cabin, Queen size bed, study 2 X Guest cabin with two single beds All cabins include en-suite shower & toilette, intercom, SAT phone and entertainment system.